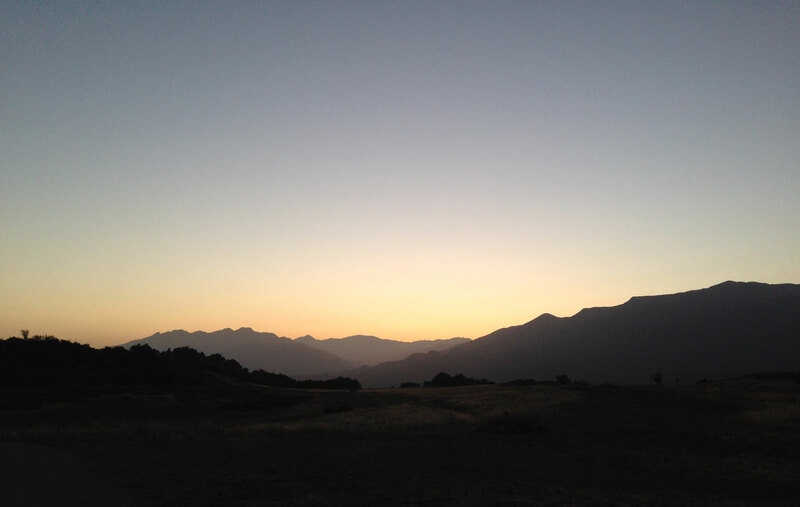 We always love sharing Ojai activities with Festival patrons including new hiking trails to discover. Read Ojai Quarterly Editor Bret Bradigan’s recent article from the winter issue. It takes about an hour at a brisk pace to walk the length of the trail and back between the trailheads at either North Signal Street or Gridley Road. This hike is perfect for visitors or residents to get “ the lay of the land” in Ojai. It is also one of the most “dog friendly” walks around. Directions: From Highway 150, there’s a trailhead just east of the Ventura River bridge. From South Rice Road, there’s a trailhead just north of the intersection with Lomita Road. Also from South Rice, take a right on Meyer Road to the Oso Trailhead. Length: Varies. Difficulty: Easy to Moderate. Three trailheads lead you into the Ojai Valley Land Conservancy’s 1,600-acre Ventura River Preserve. This three-mile stretch of the Ventura River offers a spectacular glimpse into old-growth oak canopy, splendid vistas from rocky ridgelines, deep swimming holes, lush fern grottoes, rare wildflowers and many miles of trails to choose from. Directions: From Ojai Avenue, turn north on Signal Street and drive about 1.2 miles until you see the Forest Service sign on the left. The trailhead is a further half-mile. Length: 4.4 miles to Nordhoff Ridge. Difficulty: Moderate to Strenuous. The Pratt Trail criss-crosses a seasonal stream through the backyards of private properties before opening onto a natural bowl formed by the slope of Nordhoff Ridge. Follow the signs through about two miles of dry and dusty switchbacks until you reach the ridgeline. From there, it’s another two steep, dusty miles to Nordhoff Peak, 4,426 feet above sea level. Directions: From Ojai Avenue, turn on the Gridley Road. Follow it to the gated end, about two miles. Length: 3 miles to the Gridley Springs, 6 miles to Nordhoff Peak. Difficulty: Moderate to strenuous. Elevation gain: 1,200 feet to the springs. This trail, at the north end of Gridley Road just to the left before the gates to Hermitage Ranch, begins with a steep climb, then follows an orchard road through avocado trees before making a northeastward turn along the rocky western flank of the mountainside. The trail winds along the steep flank of the mountain until it enters the cool, dense side canyon wherein lies Gridley Springs. Directions: Head east on the Maricopa Highway (Highway 33) for 3.3 miles. The turnout is on the left, just before and across from Friend’s Ranch packing house. Cross the street to the trailhead. Length: 1.9 miles to Cozy Dell Creek. Difficulty: Moderate. The trail begins along a seasonal creek and quickly climbs about 640 feet in elevation along a well-forested and wild-flowered canyon to a ridgeline knoll with spectacular views of the Ojai Valley. Directions: Head east on Highway 33 for about 4.7 miles to Matilija Canyon Road. Follow the road to the end — about another two miles. Length: Up to 7 miles (14 miles return). Difficulty: Moderate. Follow the trailhead at the end of Matilija Canyon Road through the gated property to the west side of the creek. The trail, more of a one-track road at this point, heads towards the gates of Blue Heron Ranch, a historic farm with orange and lemon groves. The trail then clambers through thickening chaparral scrub for another 1.5 miles until you can see tilted slabs of weathered granite and a long, green pool to the right. The trail descends back into the creek side sycamore and willow forest through a series of campsites, swimming holes and geologic marvels. The shifting and often-concealed trail eventually leads you to the fabled Three Falls of the Matilija.